Only Donald Trump and those who make their millions from the fossil fuel industry continue to deny climate change is happening, and they are driving our planet to a watery, chaotic grave. The purpose of Deep Adaptation thinking is to look at connecting our practices, individual and societal, to these challenges we face. We all know, deep down, that recycling isn’t enough. We need to give things up–such as masculinity, fashion, our sense of human exceptionalism, even perhaps our beliefs in human ingenuity. We’ve built resilience at home, and inside our bodies. Now it’s time to restore old practices of living in balance with our world. This episode invites climate advisors, activists, artists, and those working in environmental roles, to share with us ideas of how we can change our homes into a climate resilient community. The podcast for this episode IS NOW LIVE and can be downloaded from these links. 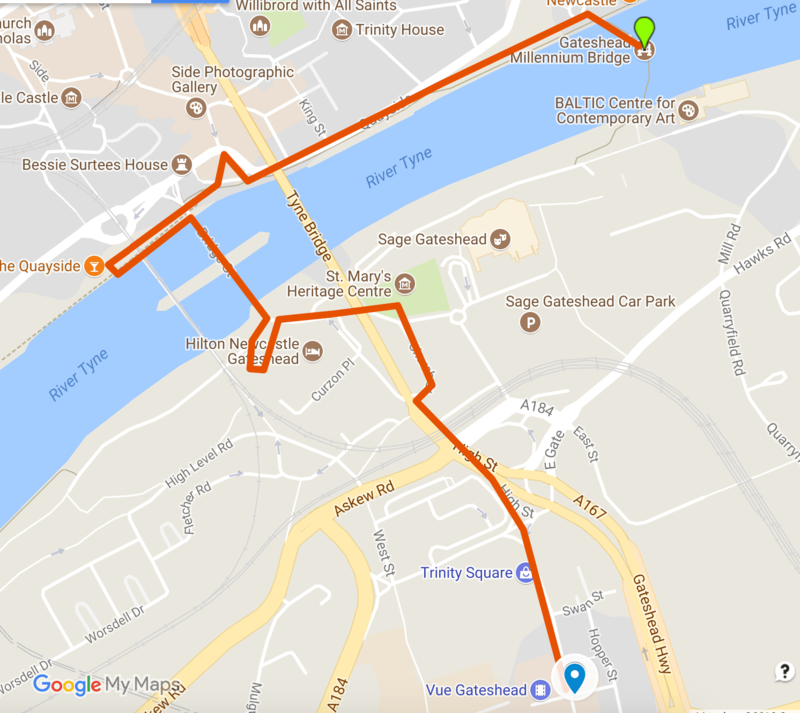 The walk and event for this podcast took place on Saturday May 12th 2018, meeting at 12pm in the middle of the Millennium Bridge between Newcastle and Gateshead. You could have registered for it here. The 75 minute walk was followed by a FREE communal vegan lunch provided by Ugly Duckling.